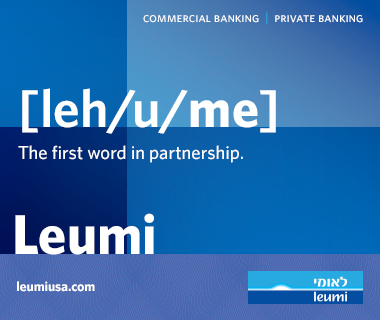 On March 9th, we usher in the holiday of Purim. It's another great example of that ancient wisdom, "They tried to kill us. We survived. Let's eat." That makes this an opportune time to look back on what we've been doing the past few months and give it a high five. What have I been up to? Traveling around North America telling jokes. I'm not a stand-up comedian. I just play one on book tour. Truth is, my agenda is much bigger than merely making Jews laugh. I'm celebrating how cool it is to be Jewish and sharing thoughts on what I call the "Jewish Cultural Revival." You might call it, "Showing Judaism a good time." My book, Cool Jew: The Ultimate Guide for Every Member of the Tribe (Andrews McMeel, September 2008), is a comprehensive, loving and irreverent look at Jewish life. It covers everything from identity, Jewish diversity, cuisine, gear and language to lifecycle events, holidays, and spirituality--what I call "Kabba Lah Lah for Non-Dummies." It's been said Cool Jew does for gefilte fish and matzah balls what The Official Preppy Handbook did for plaid and polo, only with much more chutzpah. In New York, an unprecedented line-up of talented Heebsters (my term for cool Jews) came out to celebrate the launch of my book at an "Extreme Book Signing" with an artists showcase at the JCC of Manhattan. On the bill: stand-up comedian Yisrael Campbell, performance poet Matthue Roth, Ladino chanteuse Sarah Aroeste, actor Franny Silverman of Storahtelling, singer/songwriters Michelle Citrin, Naomi Less of Jewish Chicks Rock, Dov Rosenblatt and Avi Hoffman of Blue Fringe, Chana Rothman and Rav Shmuel. Two hundred people packed a lobby filled with authentic, vintage Jewish signage collected by Rabbi Michael Strassfeld. It was, as my father would say, a grosse mechaiyah. And who knew Torontonians were so menschlich? Helpful strangers gave me a subway token, carried my things through the turnstile, and even walked me through the Yorkdale Mall to the door of Indigo bookstore. There, another stranger introduced herself to me as "Lisa Klug" -- her real name. The next evening, the Koffler Centre of the Arts served adorable blue and white "Cool Jew" cookies and gingerbread Yidden with tallit stripes of white icing at the first ever "Cool Jew Cabaret." (The good folks at the Koffler have since instituted the event, so has music impressario Craig Taubman of Los Angeles.) And the local Costco stocked Cool Jew, reportedly next to a stack of Art Scroll prayerbooks, which my book jacket spoofs. Now that's divine providence! When I wasn't busy snacking, people asked me all kinds of questions like, "Do you have a day job?" Yes, of course. I'm a stay at home mom. But without the husband and kids. Actually, I'm a freelance journalist. In other words, my day job requires another day job. Do you need any one-liners in your office? Being on tour is its own "Twilight Zone." You visit so many places (and eat so much sugar) in such a short period of time that some days you wake up forgetting you're in foreign country. You know how it goes. You're walking down the street and things feel familiar but suddenly you're really tripping because those red hexagonal signs you've read all your life as S-T-O-P suddenly say "Arret." Once I realized I was in that one part of North America known as "Kabeck," I figured I'd play along. I started reading all the signs as if I were Lumiere. You know, that talking candelabra from "Beauty and the Beast?" It was fun. "Park Olympique. Jardin Botanique. Irrigation Colonique." Those French know how to make anything sound good. As the tour continued, people started calling me cool Jew. It's been kind of uncomfortable. I'm not that cool. I'm the dork who wrote the book. But that hasn't stopped people from asking me to evaluate their coolness. They say things like, "Lisa, my name is Mordechai Lefkowitz. Does that make me a cool Jew? Lisa, I'm Morrocan and I speak Yiddish. Am I a cool Jew? Lisa, I'm a shiksa and I love knishes. Does that count?" Eventually, the questions turned to theology. During a live interview on an Alabama radio station, the middle-aged host asked me to resolve a question he'd been struggling with since college: "Do Jews believe in heaven and hell?" Then he announced, "We'll be right back for Lisa's answer after this traffic report." I had 30 seconds to come up with an intelligible answer. When we were back on air, I told him the truth. "Jews do believe in heaven and hell. Heaven is a Sabbath dinner Friday night with family and friends. Heaven is falafel in a lafa on the streets of Jerusalem. Heaven is lox and bagels Sunday morning with all the fixings. And hell is a diet." My labor of love has done all right. In June, Cool Jew won Honorable Mention in the New York Book Festival. In October/November, I was named Erma Bombeck Humor Writer of the Month. 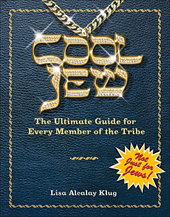 Just weeks ago, Cool Jew was also named a finalist in the 2008 National Jewish Book Awards in the category of Contemporary Jewish Life. It appears to be the first humor/pop culture title honored in the 50-year history of the awards. And in late February, the Contemporary Jewish Museum in San Francisco debuted an installation I created called "Matzo Ball Disco" that incorporates light, music, and holograms of flying Jewish stars. It's my Heebster interpretation of a seder plate. Tour has changed me, perhaps forever. I've become... emboldened. One night, after a reading in Baltimore, I used lipgloss to sticker my book logo onto a massive sign and the image of a tranquil reader in lotus position. The first full day of the new U.S. president's in office, I slipped Cool Jew into the hands of an Obama puppet at the Washington Monument. I even risked the reprimands of the Secret Service to sneak a giant semblance of my book onto the White House lawn to snap a photo. That's part of the joy of having written this book. Now, nearly every day has the potential to be a little Purim... with a lot more chutzpah. Lisa Alcalay Klug, the author of Cool Jew: the Ultimate Guide for Every Member of the Tribe, fantasizes about posting her book logo on the Space Shuttle. Learn more about her adventures at www.cooljewbook.com . Be sure to check out Lisa’s interview with Oy!